Dr Badabate Diwediga’s research focuses on integrated land use and resilient landscapes. Following a multidisciplinary approach, he explores sustainable pathways and strategies for an integrated management of natural capital and helps communities in rural areas to develop sustainable socio-ecological landscapes. One of the biggest challenges for sustainable development is the ongoing increase of the world’s population. With almost 10 billion people by 2050, the sustainable management of natural resources, combating the resource scarcity and mitigating the effects of climate change are crucial for sustainable development. Rural communities in particular must find a way to sustain their livelihoods and simultaneously mitigate climate change. In order to achieve this, it is necessary to understand the complex interaction among environmental and social components at landscape scales. Comprehension of the critical processes that exist in multi-functional landscapes and the impact of humans transforming and managing their landscapes are fundamental. For this reason, Badabate chose integrated land use and resilient landscape as his current research focus. 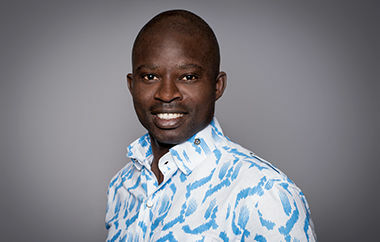 After studying Environmental Management at the University of Lomé in Togo and Climate Change and Land Use under the WASCAL Program at Kwame Nkrumah University of Science and Technology in Ghana, he conducted additional research in Tunisia and Nigeria through collaboration with the International Center for Agricultural Research in Dry Areas (ICARDA). With his academic qualifications and practical research expertise, Badabate aims to contribute to building integrated land use systems and processes at community level in West Africa in order to sustain green growth and counteract climate change. His previous collaboration with researchers in both natural and social sciences helped to explore the links between land management practices, patterns of land use and cover change, and provision of ecosystem services. 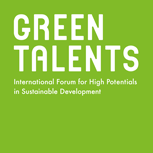 Seizing the opportunity of the Green Talents award, he hopes to continue building capacity and skills through collaborations with highly referenced institutions in Germany. The possibility to exchange ideas with like-minded professionals and practitioners would benefit the maintenance of his research and professional knowledge within his scientific niche. The jury especially valued the integrated approach of Badabate’s proceedings. Enhancing a close collaboration between scientists and policy-makers is a beneficial way to make better profits from investments in research. Furthermore, his aim to understand the complex interaction among environmental and social components is important for future sustainable land management and is therefore highly appreciated.